I opened the door of my apartment and found chocolate flowers with a note. I opened it and read it. "I show you by actions rather that words to show you, my dear Ivy, that I love you. Follow the roses to for next surprise!" I followed the roses to the kitchen where there was two pizza boxes and another note. "That is 2 large pizzas all for you. Enjoy. Continue to follow the roses!" I followed the roses up stairs to the guest room/ nursery. It was empty with a note in the middle of the floor. "I don&apos;t think 4 people can fit in this small apartment. Follow the roses to your final surprise!" I followed the roses to our bedroom were Daveed was. I smiled at him. "So what is my final gift?" I asked him. He handed me a key. "Well it was going to be your Christmas present but you deserve it now." "We own this house." he said. "Oh my god!! 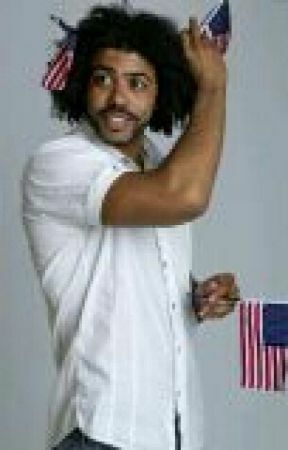 Daveed I love you so much!" I said hugging him. "Can we go see i-" I felt something in my stomach. "That&apos;s impossible your only 7 months." "Daveed, my water broke." I said looking down. "Oh my god. Stay here I will call for help."